Update: 2012 remix of Running Up That Hill now on iTunes! There is no official news regarding this release. Sunday Telegraph guide to the closing ceremony. There seems to be no doubt that any degree of participation by Kate in the Olympic Closing Ceremony would be a very popular thing. 101 Responses to Update: 2012 remix of Running Up That Hill now on iTunes! The sample on Amazon is terrible: it’s almost impossible to get a feel for it. Yay! Show some excitement guys! I hope we get more info soon! Also hope that the track will be available for download in America! Amazing news. Olympic Closing Ceremony here we come. I am really looking forward to listening to this new version, with her new lower voice. This must be made for a live-performace, What great news!!!!! Radio Leeds did play the original as part of their Three at 3 on 23rd July – a week before Kate’s birthday and four days before the Olympics began. wowee wowee my day, week, month, year has just been made, yet another ‘new’ song from Kate.. my favourite at that! It will be amazing and I can’t wait, counting down the days aleady!!!! There’s nothing mentioned on her official website about it either?? OUCH…. and in one foul swoop it appears that my excitement has been ripped away from me…. and now I just have to keep my fingers crossed that this is actually happening. The Olympics are not good enough for Kate! this happen a few weeks ago….it was put on as kate bush’s new single then it was removed a day or so later! !….come on ‘kate’ just what the hell is going on??? Nice to have the confirmation of this… just got to wait till it comes out now… until then why not give my paltry version a listen? i’m afraid someone’s been trying to be funny. i hope the persons responsible will go to prison for breaking copyright laws. the sample on Amazon sounded horrible. is there any website where we can hear the preview??? It was a post on her official Facebook account though? Now the post has been removed? Never thought kate would be reduced to rehashng old materal….thats a very typical and predictable direction popstars do when they run out of ideas… i mean look how awful deeper understanding turned out.A true fan tells it like it is. True fan or just negative? Directors recut films all the time–and Raymond Carver rewrote his stories all the time. I think re-releasing things is a good idea. She’s known for “Hounds of Love” over here, and many people lost sight of her after her long hiatus. Why not re-release something, just to remind people that she’s still making music? I thought the Director’s Cut versions – with the exception of Sensual World/Flower of the Mountain, Moments of Pleasure, and This Woman’s Work – were significantly better than the originals. The DC version of Song of Solomon is now one of my favourite ever Kate songs, whereas the original never quite hit the spot for me. That said I *liked* the new versions of MoP and TWW as ‘alt versions’ because they threw a new light on the songs, just as Peter Gabriel did with Here Comes the Flood and No Self Control, but for me the originals of those two tracks are un-improvable. But that does not invalidate doing an alternative interpretation of the song. But it goes without saying that I’ll listen to whatever’s released on Sunday… and if the story is a fake, then I’ll listen to the original. Kate’s music certainly deserves a place in the Closing Ceremony – it’s a shame the flag-bearers at the Opening Ceremony didn’t have to run up the hill to RUTH to plant the flags! And while it would be just lovely to see her perform, in a way I hope she doesn’t, given the Daily Mail’s and the tabloids’ inevitable vileness about her. If Kate does ever perform again – and I fervently hope she does – then something like Elizabeth Fraser’s performances this week at Meltdown (I was at last night’s, and it was simply lovely) would be the perfect. Just Kate and the thousands of people who love her, and think he voice and her songs get better with every new release. I agree christopher. I like the newer version of “Rubberband Girl” too — I like the fact that it sounds loose and easy, like a demo. It suits the nature of the song. Hope she is writing new stuff though for a later album…. Ok, maybe i am wrong…it was on her face-book page last night and later withdrawn. 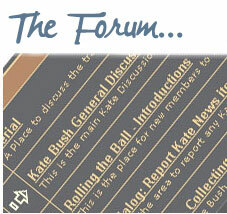 Two internet articles on Kate Bush and the remix. I found them here of August 7th. “Kate Bush to perform ‘Running up that Hill’ at London 2012 closing ceremony? Gigwise. 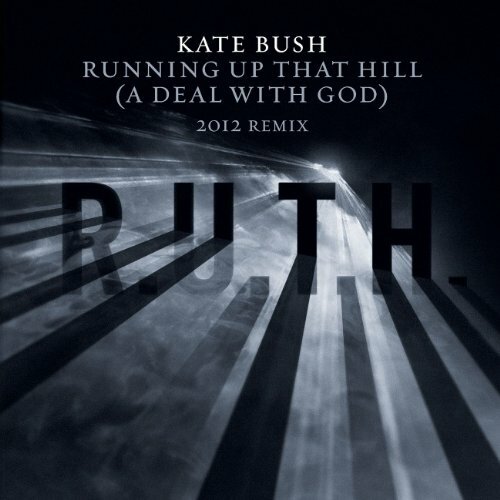 “Kate Bush appears set to release ‘Running up that Hill’ remix for Olympics” Consequence of Sound. So if this WAS on her facebook page (which is her official page) how could it possibly be a fake. If it was a fake, surely by now there would have been a statement made- non??? The reason why Kate Bush is, in your words, “rehashing” Running Up That Hill is that she was asked to by the organizers of the Olympics Closing Ceremony. The closing ceremony includes “A Symphony of British Music” that celebrates the best British music from the last 50 years. It would be completely inappropriate for Kate Bush (or any other artist) to showcase new material at such an event. In any case, the notion that she has “run out of ideas” is completely ridiculous as she released an album of completely new material just 7 months ago and has said that her next new album is already in her head. It’s very brave of you to offer recording advice to one of the most celebrated and successful composer/writer/producers out there, Nel. I’m sure Kate Bush is hanging on your every word. At the very end of the sample you could hear her voice and it was definetely her modern one so i’m 99 percent confident that this is real! The Olympics opening ceremony featured a lesbian kiss that probably offended some countries … they still included it though. If you worry too much about offending other people, you won’t have an Olympic ceremony at all. Maybe she has not decides yet to perform or not…..
the best hint that the song will be released on sunday is: There is no official news regarding this release. which means: we know it, but it’s not official yet. I have no qualms about a special version for Olympics closing ceremony,great idea,but the way the article apperead suggested a release of a new version as a single is what i was concerned about and brought about my concerns about rehashing old material as singles. My admiration of Kate is partly because she has never followed the crowd . The colour photo of Kate heading the Daily Telegraph article has to be the most significant hint yet that it is a strong possibility. Well, we had the rumors of the Jude Law video a while back, along with a purported photo from the shoot. What I’m hoping for is a standalone video, but shot in such a way that Kate can perform in front of it and “interact” with it at the ceremony. This being Kate, I doubt she will sing live, but lipsynch instead. But if it happens, I predict it will be spectacular and make RUTH a big hit all over again. I agree with Nanette about new Rubber band girl…much twangier and bouncier than plodding origional ,just what a rubber band should be and a great buliding climax instead of just fading out. Disliked mutulated TWW and DU, should have left em alone,but i digress. I would like to think that, by now, if Kate wasn’t going to take part in the closing ceremony, she would just come out and say so in a press release. Surely she’s aware of all the media buzz about this, and I would also like to think she would want to set the record straight sooner rather than disappoint a lot of people. Something tells me she will be involved but not in a way that anyone would expect–she might be in a new vid projected on who knows what kind of backdrop or she might just sit on a comfortable piano seat and along with everyone else, lip synch a pre-recorded version of any one of classics–Best of British Music could mean “Wuthering Heights!” I don’t think she’ll disappoint. There will be something. My God, it is true!!!!!! Kate was rehearsing today in Dagenham for the Olympic Closing Ceremony. Surely if she was not appearing she would have said so by now…getting really excited..
where is it saying this rumour is no longer a rumour??? More speculation and hopes from me (I’m a silly Yank in Texas who knows nothing): I’d love to see Kate performing in front of a big screen showing the new video, then have it cut to Jude Law in his costume from the video shoot appearing on stage with her, running up a hill together for the ending, perhaps both bearing archery gear to tie it into Kate’s original concept from 1985 and to the Olympic theme. If this is true, I will have died and gone to heaven. Love you, Kate. The Sun says she was spotted rehearsing. Doesn’t sound like rumour. Kate, please sing live, don’t mime! Well, it’s released by EMI UK. I think everyone is getting their hopes up for no reason – and that includes me too. Well, almost there now, just one day to go….We got the hollywoodesque string version that we are not sure to be fan-made or not, and then the real thing.Very exited to see the show tomorrow, i think she will appear but it has all been made very secretive. It hasn’t been released in the US. Surprise. Imagine the mass fainting in the U.S. if once, just once, Kate Bush released a single here before releasing it any where else. Surely the number of her fans in this country equal if not exist the number in the the Netherlands, Finland, Lichtenstein, etc. Pigs will fly before it happens, I know. You’re right Keith! Let’s hope it comes soon! That and an official announcement about what’s going on! I agree, it sounds much more “live” and the words are more clearly separated and enunciated in this version, so it seems very “lip synch friendly” if there is such a thing. Seems to be more press about the possibility of Kate being there than just about anything else to do with the ceremony. Love it. Kate new lower voice is breathtakingly beautiful. The single has been released in New Zealand today (…one of benefits of being so close to the date line!). It is essentially the small sounding song but with some modern production that gives those rolling drums (plus a few more added in) a whole new depth, and a new vocal that includes some small but beautiful ab-libs towards the end of the song. From a completely unbiased (!?) view-point of a long-term fan – a glorious update of a classic Kate Bush song that moves it into the 2010s. Like meeting an old friend again, one who is still looking good and doing well, and picking up where you left off as if 27 years have not passed. It gave me goose-bumps… stunning, stunning, stunning! I just purchased my copy of this on Swedish iTunes! #205 on UK iTunes! It’s here!! And it sounds amazing! I love her voice!! Now on i-Tunes UK: great to hear this with Kate’s mature vocal which has a depth that I love on her recent work. The one minute and 30 second clip on itunes sounds exactly the same as the 12 inch mix from Hounds of Love. She recorded new vocals over the original track. I was hoping for a reworked version like something from “Director’s Cut”. I’m a little sad that she didn’t create something new with it :(. I can’t download the song yet in the US, maybe there are other parts that were different from the original? I’m still in shock, and wondering if this Olympic thing will really happen. If so, I can only hope it will be truly LIVE. Hmmm, just heard the whole version. No changes from the original, just new vocals over the 12 inch mix. I think if she would have reworked the song, maybe slowed it down and recorded a new version it could have been more inspiring to listen to. The best songs from Directors Cut were the ones fully re-recorded and reimagined. New Kate is always exciting though! I’m glad she hasn’t. One of the temptations singers have with revisiting their old material is to stretch the songs till they become bloated – the 2011 mix of This Woman’s Work is a major offender in this. Lol, This Woman’s Work 2011 is by far my favorite! Three words. I love it. Actually, everyone – including me – is wrong. The new RUTH isn’t nearly the same as the original at all. For a start it’s in a different key – a major difference, let’s face it, which means she may have entirely rerecorded the track, or had to pitch-shift an analog recording to a different key. I’ve just done a like for like comparison on headphones and this new mix is very, very widescreen and spacey. As well as being in a different key, the drum sound, on headphones, is very different… everything is spaced very wide in the stereo field so that Kate’s voice can run right up the hill in the centre of the mix. Interesting vocal mix… lots of very contemporary reverb effects pushed low in the mix. A like-for-like comparison finds them to be actually very, very different. If you listen on crappy laptop speakers it sounds like the same song with a more upfront vocal… on headphones – and therefore (perhaps 🙂 in a stadium – it sounds HUGE. Plus the original was much brighter and brasher sounding overall. This has a richer, fuller overall EQ. Just bought it on i.tunes. Amazing (naturally) – moved me to tears. The most gorgeous beautiful enchanting woman ever to have walked the planet. Will be very surprised, but delighted, if she’s there tonight. I think this version of RUTH has love written all over it. 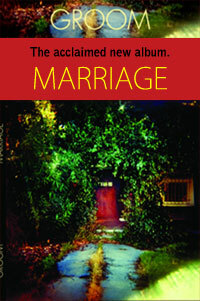 It has been produced with love for the material, for singing, and the fans, you can hear it in every lush, warm, note. I’ll put my neck on the chopping block here and say that whilst I did love the original, it seemed to me it was a kind of confrontational song, sort of detached in the way the prospect of swapping places was offered. In RUTH2012, there is much more longing, I think, it’s much more emotive, warmer, and the lingering on certain words adds to the atmosphere. The ending, well, it is just wonderful. On top of everything else Kate has given us over the last year or so, we now have this beautiful song – a new video would surely be the icing on the cake. An appearance would surely, surely, be too much to even hope for. Wouldn’t it? Heard the full version and I love it. 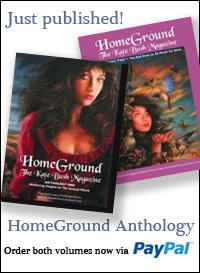 It’s hard to top the original in terms of uniqueness and Kate doesn’t really try to. However I like it when Kate doesn’t add trickery to her voice; her ‘live’ vocal is delicious – the ending of Sunset would have been far more substantial had it just been one Kate cutting loose as opposed to a chorus of Kate’s sounding quite flat and uninspired. Other artists could learn from this – Sinead O’Connor in particular. i hope to see. Kate perform live ,.. but they use a holograprm????? that be good to…..i just cant wait !!! Kate-mass would be magic again!!!! i reckon it will be featured ,live or not ,and the release is to coincide with anticipated demand that will undoubtedly follow the closing ceremony.I expect a souvenir album of the closing concert wll be available too.The origional has only just been in the chart again though following its cover on’ the voice’ so i’m not sure how successful it will be but what an opportunity and a perfect song that can be associated with striving to overcome obstacles physical and emotonal that competors and families must go through. No performance! No official info and no single release in America! I’m sad! Well – i still think she should have denied a personal performance . I still love Kate and the “performance” was great, but appealing to rumours to make big sells is in my world is just a litttle cynical.She must have known about all the rumours……. The record was set on sell on the official page right after…….